Nazi Germany turned an old aluminum factory in the western city of Duren into an arm factory during the world war 2 to produce bullets for the army. The factory went bankrupt in 1970s and was up for sale. The small Turkish community in Duren purchased the factory building in 1979 and turned it into a mosque. 5 years later, Turks won a legal battle to recite Adhan -Muslim call to prayer- out loud from the mosque. 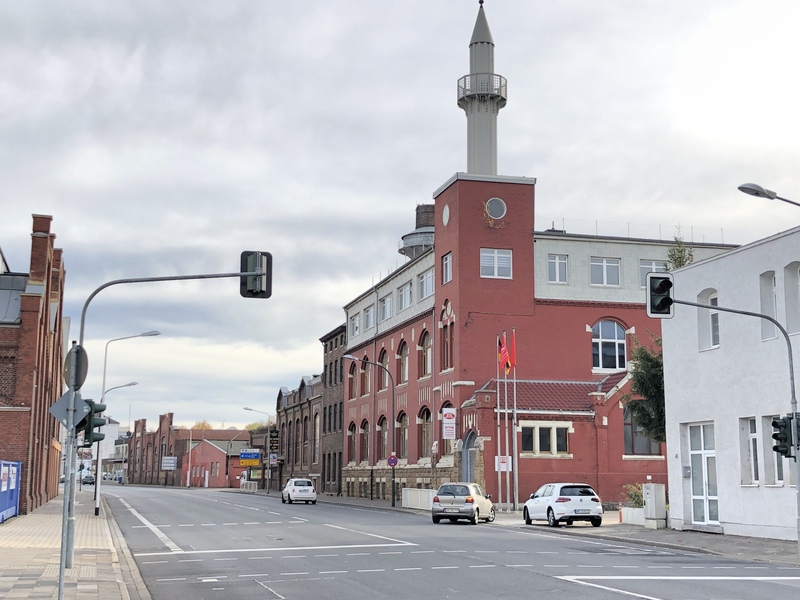 For more than four decades, Duren mosque is the only mosque in Germany where Adhan is broadcast out loud. 73 years old Mustafa Gunduz who was part of the mosque administration back then says they brought a copy of a Turkish newspaper which had a story about how churches ring their bells though out Turkey to convince the judge about the ruling. “It was what made us won the trial. We said non-Muslims have all the religious rights in Turkey so we should have them here,” recalled Gunduz. The mosque was granted the right to broadcast adhan 5 times a day as it is in Muslim countries. However, the Duren mosque community gave up the right on the morning and night adhan not to bother the non-Muslim community at early morning and late night out of respect for their comfort. There have been protests in Duren before the ruling but some Germans were not bothered by adhan at all according the mosque members. Anti-Muslim sentiments have been increasing in German in recent years. But, Duren mosque members says the city could set a precedent for the rest of the country on co-existence. Many Muslims who regularly pray at the mosques also thanks to the authorities and neighbors for peacefully living side by side for decades. They say Germans should not consider mosques and adhans a threat. “This simple implementation means a lot for us and it only makes us more adhered to this country,” says Gunduz.